Pfizer has signed an agreement with the National Institute for Health Research Clinical Research Network to conduct more clinical research in the UK. The collaboration is designed to boost UK R&D, and has the backing of the chief medical officer, who says it is part of the Government’s ambition to make the UK a world leader in life sciences. For the first time an entire national research network has been invited to participate in Pfizer’s INSPIRE (Investigator Networks, Site Partnerships and Infrastructure for Research Excellence) programme. Through INSPIRE, Pfizer and the National Institute for Health Research Clinical Research Network (NIHR CRN) will collaborate to bring more clinical trials to the UK - and increase the 60 ongoing clinical trials Pfizer is currently running in the UK in areas including oncology, cardiovascular, inflammation and neuroscience. Dr Berkeley Phillips, Pfizer’s UK medical director says: “I am delighted that we have announced this strategic partnership in the UK which recognises the significant work of the NIHR in driving research excellence and attracting global clinical trials to the UK. “Our scientists dedicate their lives to beating illness and disease, but they can’t do it alone. We believe that this exciting new partnership can help us to find and deliver the treatments of the future, advancing scientific research for the benefit of us all. 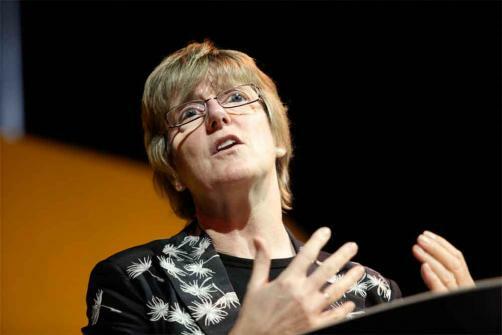 Dame Sally Davies, chief medical officer for England, says: “I am delighted to see the excellent work of the NIHR Clinical Research Network being recognised by Pfizer. Pfizer has also selected the Greater Manchester Clinical Research Network to be part of the fourth site in the UK to be selected as a preferred location for clinical research as part of the INSPIRE programme. This means that patients in Greater Manchester could be among the first to receive innovative new treatments, the company says. INSPIRE site meet certain criteria to demonstrate they are highly productive and effective site for new medicines R&D. There are currently around 150 Pfizer INSPIRE sites across the world, including UK sites in Newcastle, Scotland and the Baronet primary care research network in the south west of England. This is the fifth industry alliance the NIHR has entered into, along with AstraZeneca/MedImmune, GlaxoSmithKline, and Verastem.